Our Brackets are "fit to perform", providing you with peace of mind. 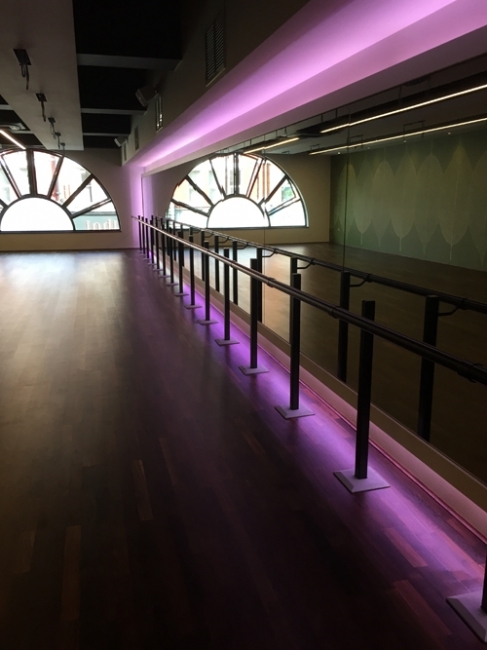 Where wall mounted barres are either not wanted or are unable to be installed, our Prestige Floor Mounts provide the perfect solution and are ideal for placing in front of Studio Mirrors or windows. Our Prestige Floor Mounts are a super-tough construction and provide the vertical strength needed. 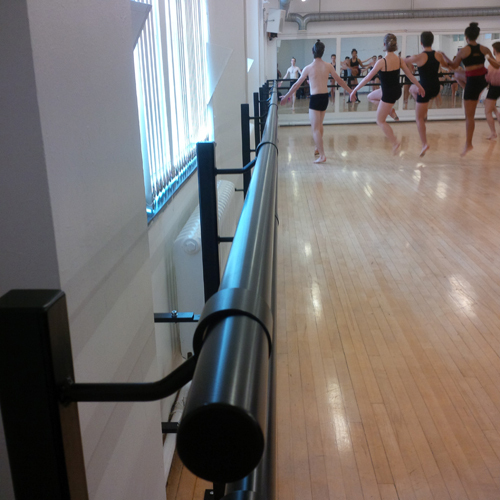 The barres are tightly secured ensuring non-movement during use. 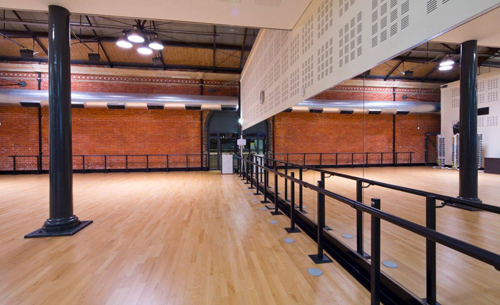 Our Prestige Floor Mounts are available in single, double or even triple barre use and can be made to any height/s required. What makes our Brackets so great? Above all - we care that you have the best product available for your needs. 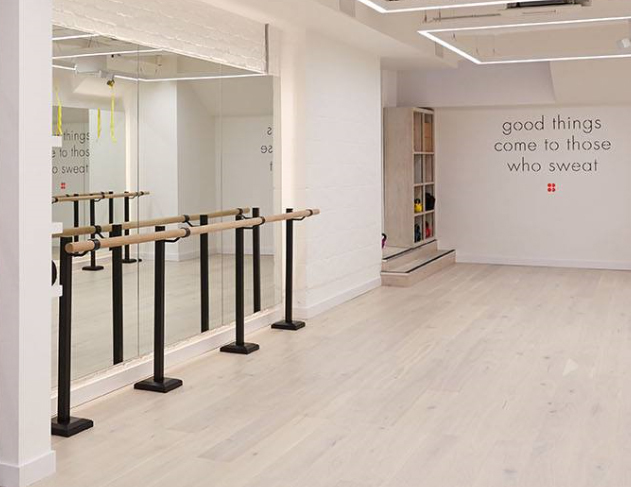 Our Brackets create a continuous run of barre with minimal disruption. 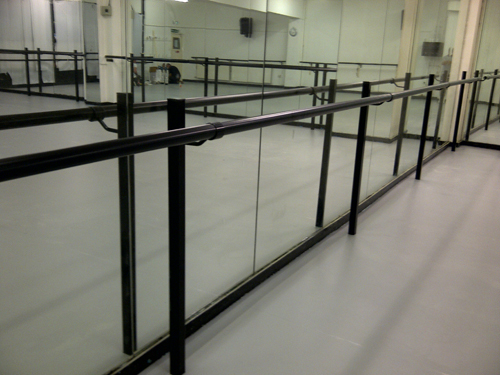 There are no visible gaps or joins along any of the barres. 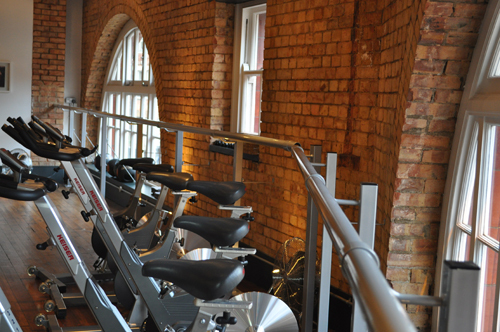 Our Brackets tightly secure the barres ensuring no movement during use. Our Pilates Brackets are reinforced to cope with the rigorous pressure of fitness use.